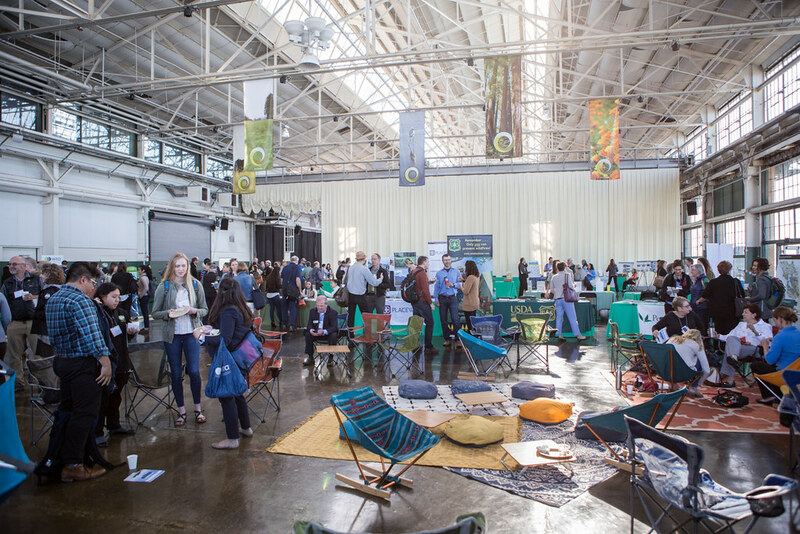 The 2017 Open Space Conference – Eyes on the Horizon, Boots on the Trail – will convene 500 members of the Bay Area’s growing and increasingly diverse land conservation community to help envision our region’s future, and bring fresh perspectives on how to help achieve that vision. Participants will hear from leaders in our field, celebrate triumphs that serve as a reminder of progress and success, and discuss the on-the-ground work that’s being done to get us where we want to go. 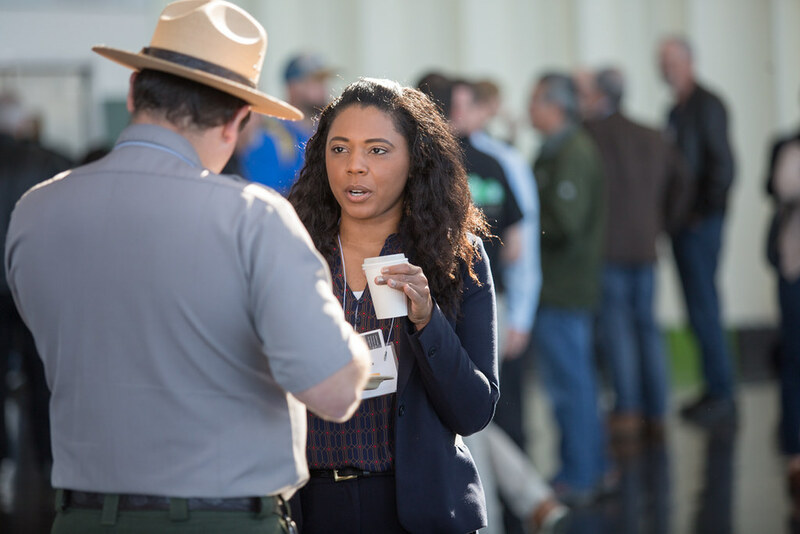 The Conference provides forums for conservation professionals to share their wisdom, platforms for allies and key policymakers, and opportunities for young people who want to contribute their talents and passion to the conservation field. 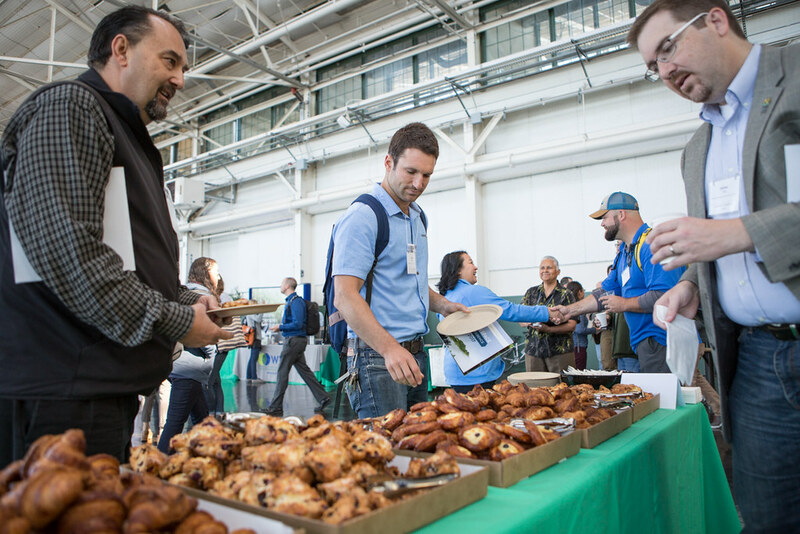 Participants will examine how their daily work feeds a larger vision and moves the critical and exciting field of land conservation and stewardship forward to meet future challenges and opportunities. 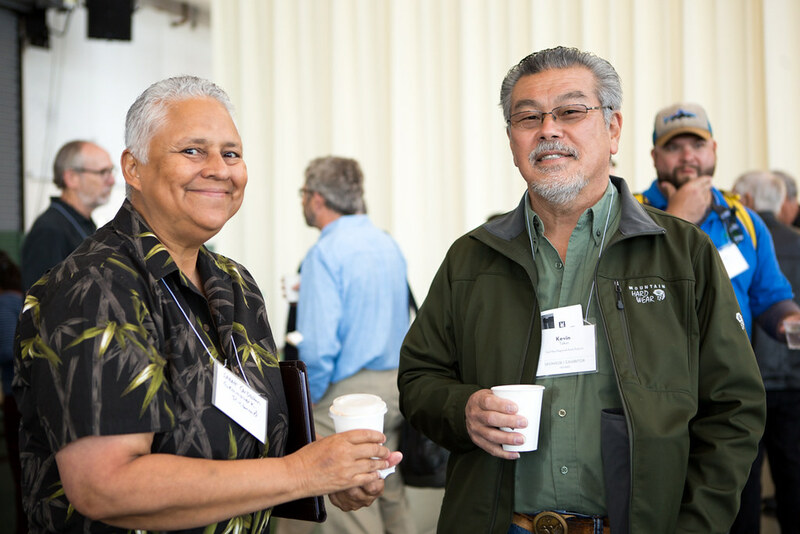 The 2017 Open Space Conference theme – Eyes on the Horizon, Boots on the Trail – inspired attendees to look ahead towards a future vision for land conservation, and to explore the current on-the-ground work vital to creating that vision. After lunch, we’ll gather into one of four breakout groups focused on a topic relevant to your work. Each group will have the opportunity to hear panelists’ perspectives on these topics, and then discuss them during a Q&A session. Please note that this presentation includes animations that aren’t visible via Slideshare. For original PowerPoint file requests, please contact [email protected]. *Please note that if you switch groups during the conference, there might not be seating available due to the capacity of some of the breakout rooms. Please note that text appearing to overlap in this presentation is due to animations in the original PowerPoint file. For file requests, please contact [email protected]. Ellie Cohen, President and CEO of Point Blue Conservation Science since 1999, is a leader in catalyzing collaborative, nature-based solutions to climate change. She and Point Blue’s 160 scientists work with natural resource managers, ranchers, local governments and others to reduce the impacts of environmental change and test climate-smart conservation approaches. Ellie received her undergraduate degree in Botany with honors at Duke University and an MPP from Harvard’s Kennedy School of Government where she was honored with the first Robert F. Kennedy Public Service Award. 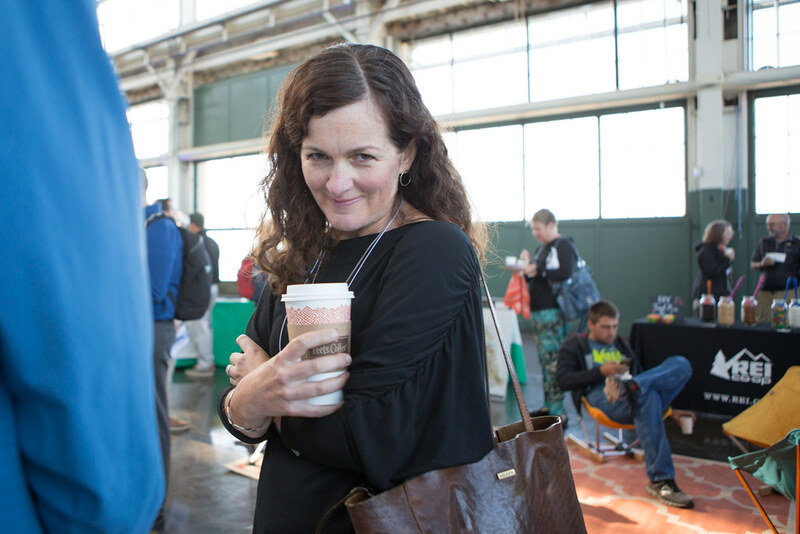 She co-founded the Bay Area Ecosystems Climate Change Consortium or BAECCC and serves on the SF Bay Joint Venture Executive Committee as well as the California Landscape Conservation Cooperative Steering Committee. 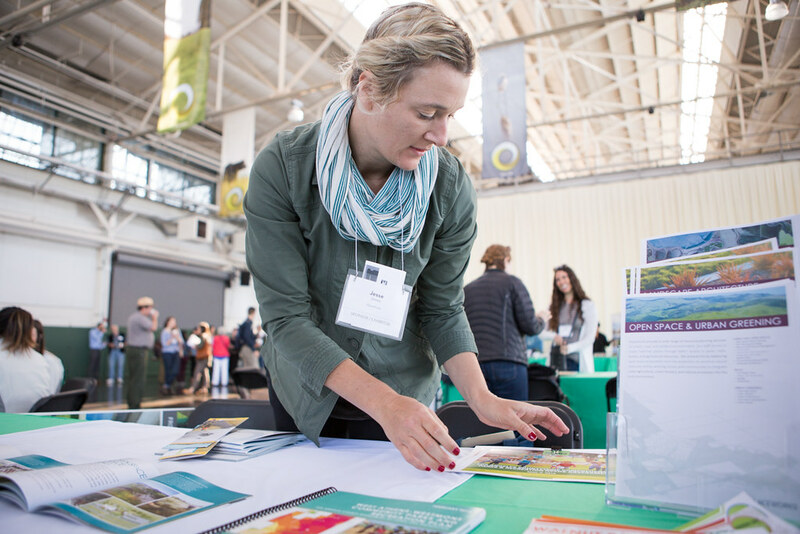 Ellie was recently appointed to the SF Bay Area’s Resilient by Design Research Advisory Committee. Craig L. Anderson earned his Ph.D. from the Psychology Department at UC Berkeley in 2016. Broadly interested in emotions and how people regulate them, his recent research has focused on how the emotion of awe impacts physical, mental, and social well-being. These research interests and his love for the outdoors led him to be one of the founding members of the Great Outdoors Lab, a collaboration between UC Berkeley, the Sierra Club, and the Greater Good Science Center with the aim of better understanding how nature experience positively affects people’s lives. He is currently a postdoctoral researcher at UC San Francisco. David Loeb is the publisher and co-founder of Bay Nature magazine, a quarterly publication dedicated to exploring the natural world of the San Francisco Bay Area. 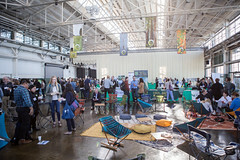 Bay Nature is published by the Berkeley-based nonprofit Bay Nature Institute, of which Loeb is the Executive Director. 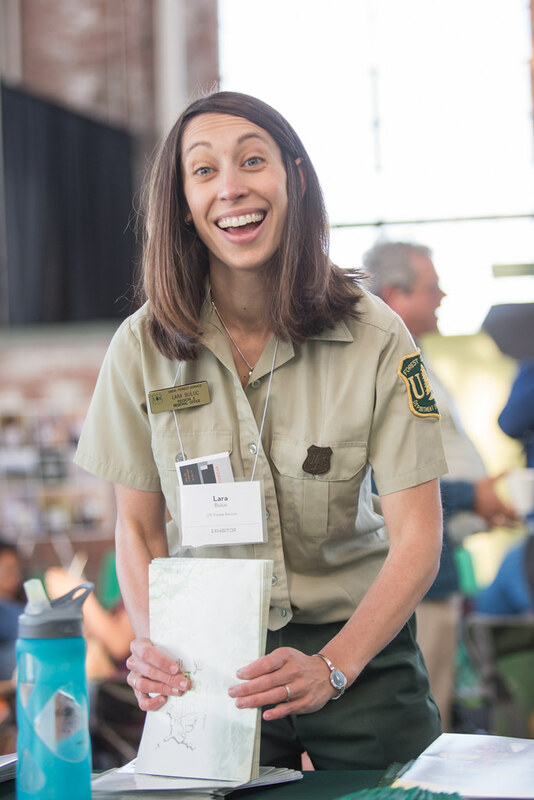 Sara Barth joined Sempervirens Fund as Executive Director in 2016 after 12 years working in leadership positions at The Wilderness Society (TWS), most recently as Senior Regional Director for the Pacific and Southeast regions. Sara oversaw TWS efforts to protect wildlands around the country, including successfully preserving over 1 million acres of federal land in California, and she completed a major climate adaptation project for the organization. Prior to TWS, Sara served as an environmental advisor to U.S. Senator Barbara Boxer in Washington, D.C. Her other professional experience includes working for the National Wildlife Federation and the World Wildlife Fund on U.S. land and wildlife policy. Sara holds a B.A. in Biopsychology from the University of Pennsylvania and an M.S. in Environmental Science from the University of Michigan’s School of Natural Resources and the Environment. 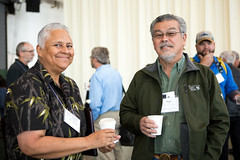 Chairman Reno Keoni Franklin is an enrolled member of the Kashia Band of Pomo Indians. His family comes from the Kashaya villages of Dukashal and Aca Sine Cawa Li (Human Head Sitting) and his Hawaiian heritage comes from the powerful islands of Molokai and Maui. He was raised in a traditional Kashaya family and was taught his culture, language and traditions from his elder family members. Chairman Franklin has spent more than two decades in service to his people. He started as a fire fighter and EMT before moving into the fields of environmental protection, historic preservation and Indian health. He was blessed to have been elected to Chairman of the National Indian Health Board (2010-2012), Chairman of the California Rural Indian Health Board (2009-2013), Chairman of the National Association of Tribal Historic Preservation Officers (2010-2013) and was appointed by President Obama to serve on the Advisory Council on Historic Preservation January 9th 2017 (2017-2020). In 2014 Chairman Franklin started his first of two terms as the Chairman of the Kashia Band of Pomo Indians. Chairman Franklin has been a staunch advocate for the protection of his homelands. In 2015 he played a key role, along with many others, in the completion of the Kashia Coastal Reserve, a forever protected piece of coastal land in the heart of his Tribes ancestral lands. Doug McConnell is Co-Founder and Managing Partner of ConvergenceMedia Productions (CMP) in Mill Valley. For the past three years, CMP has produced “OpenRoad with Doug McConnell” which airs Sunday evenings at 6:30 PM on NBC Bay Area. Prior to that, CMP produced “OpenRoad: Exploring the West” for Public Television nationally. From 1993-2009 Doug was the Host and Senior Editor of the legendary “Bay Area Backroads” series on KRON Television in San Francisco. Backroads was one of the longest-running and most successful regional television series in American broadcast history. During his Backroads years, Doug co-authored two best-selling travel publications for Chronicle Books. Doug’s received many regional Emmys and other local and national broadcast awards during his long career in television which began in 1969. He’s also been recognized for his extensive public service and consistent commitments to conservation and environmental education and protection and has been named Honorary National Park Ranger, Honorary State Park Ranger and Volunteer of the Year by the San Francisco Bay Trail Project. In addition, he’s been given the prestigious Harold Gilliam Award for environmental reporting and storytelling in Northern California. Brendan Moriarty is a Project Manager at The Trust for Public Land, which protects land and creates parks for people. He is responsible for managing the organization’s land protection program in the greater San Francisco Bay Area. In this capacity he has built partnerships with a diversity of partners, raised $34 million in public and private project funding, and protected nearly 10,000 acres in eight counties across California. His projects have created new urban parks, returned land to a Native American Tribe, protected one of the largest private properties in the Bay Area, and returned badly needed water to a river on the brink. He previously managed conservation easement projects for the Gallatin Valley Land Trust in Bozeman, Montana. He holds Master’s degrees in Urban and Regional Planning and in Public Policy from the University of Michigan. Women are more active in the outdoors and the outdoor industry than ever before. As stewards of the outdoors, we have an incredible opportunity to be at the forefront of welcoming women into our open spaces. This panel will feature local and national female leaders working in land management, outdoor recreation, and conservancy. We will delve into historic and current trends of women in the outdoors, explore promising ways of increasing women’s access to outdoor recreation and careers in the outdoors, and hear our panelists’ personal experiences as women in outdoor leadership. A facilitated question and answer session will follow the panel presentation. Rebecca is the Director of Education and Local Community Development at REI. 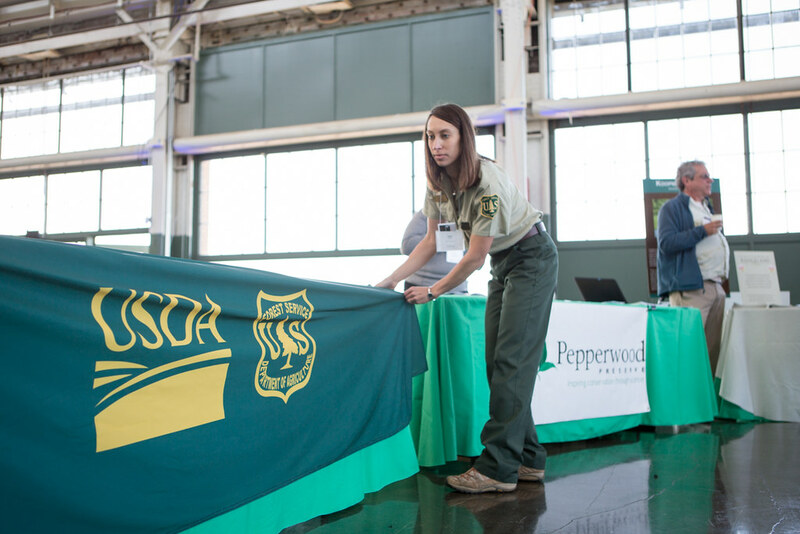 She oversees national strategy and operations for REI Outdoor Programs, which includes in-store and field classes, local events, and community partnerships that serve over 350,000 people annually. She serves on REI’s women’s initiative steering committee, and co-chairs the Coalition for Outdoor Access – which focuses on improving facilitated outdoor access for all. Prior to REI, Rebecca co-founded Passages Northwest, now the YMCA Girls Outdoor Leadership Development program, and spent ten years working with Outward Bound in the US and internationally. She has a Master of Education degree from Harvard University and a Certificate of Sustainable Business from Bainbridge Graduate Institute. Alyson joined the REI Outdoor School as a Senior Instructor in February 2016. She primarily instructs rock climbing and kayaking classes, in addition to managing relationships with key partners and coordinating events for the Outdoor School. Before coming to REI, Alyson spent over 5 years living and working abroad as an experiential education facilitator and outdoor educator. Her work has taken her to many countries, including China, Thailand, Turkey, and Botswana. Alyson is passionate about sharing her love of the outdoors and introducing others to her favorite activity – rock climbing. 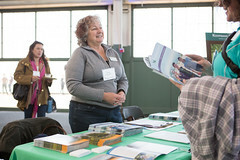 Janet McBride joined the Bay Area Ridge Trail Council as Executive Director in 2006. She has 30 years of experience in the planning and environmental field, spanning private, public and nonprofit sectors. 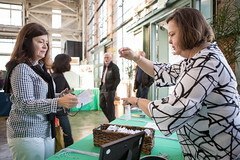 Janet held progressively responsible positions with the Association of Bay Area Governments for 17 years, including Planning Director and Project Manager of the San Francisco Bay Trail, and also worked for several environmental consulting firms. She holds a Master’s degree in Urban Planning and Policy from the University of Illinois at Chicago, and a Bachelor of Science in Environmental Policy and Analysis Planning from the University of California, Davis. Aniko Kannas–Millan has worked for Santa Clara County Parks for 23 years, starting as kiosk attendant then serving as a Park Ranger and 12 years as a Senior Park Ranger before promoting to her current position as Park Ranger Supervisor. 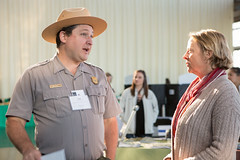 Her primary responsibilities include Park Ranger Operations in-house training and recruitment, and hiring of seasonal and permanent park rangers. Aniko’s personal goal is to expose underserved populations and women to the wonders of our parks and open spaces and introduce new ways to play outside. She wants to broaden recruitment of women and people of color to Santa Clara County Parks and the park ranger career as a whole. Aniko believes in mentoring, planting the seed of interest in our youth and growing them through education, volunteerism, and career opportunities to build both advocates for the outdoors and a diverse workforce. Aniko is a graduate of Chico State, with a B.S. in Recreation Administration, Parks and Natural Resources Management. Chris is the Executive Director of the Resource Conservation District of Santa Cruz County. He has over fifteen years of public and private sector experience working on a variety of assignments related to water and environmental quality. Chris has a degree in Biopsychology from the University of California at Santa Barbara (UCSB) and Master’s in Environmental Science and Management, from the Bren School of Environmental Science and Management at UCSB. Janet Klein is the Natural Program Manager for Marin Municipal Water District and serves on the One Tam Collaborative Working Group. A botanist and restoration ecologist by training, her work focuses on wildfire risk reduction, environmental compliance, threatened and endangered species protection, wildlife management, and community engagement and stewardship. Janet previously worked for the Golden Gate National Parks Conservancy, BLM, and HT Harvey and Associates. She has a Master’s of Science in Land Management from the University of Wisconsin. Dr. Micheli has over 25 years experience applying her technical, policy, and fundraising expertise to the design and implementation of ecological restoration, research and education programs. She completed her graduate studies at UC Berkeley as a NASA Earth Systems Research Fellow in 2000 and now focuses her research on relationships between watershed health and biodiversity. She is the co-chair of Pepperwood’s Terrestrial Biodiversity Climate Change Collaborative (TBC3), a Gordon and Betty Moore Foundation Bay Area climate adaptation research initiative. 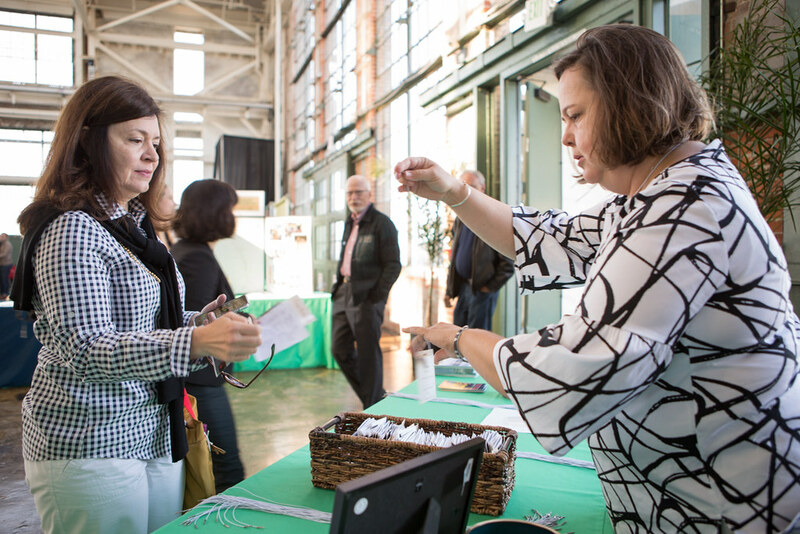 She joined Sonoma County’s Pepperwood Foundation in October of 2009 as its premiere Executive Director, and now serves as the organization’s President & CEO. She holds an A.B. in History and Science from Harvard College, an M.Phil. from King’s College, Cambridge University in History and Philosophy of Science, an M.S. from UC Berkeley in Environmental and Civil Engineering, and a Ph.D. from UC Berkeley in Energy and Resources. Sara Press, Land Acquisition Associate with the Sonoma County Agricultural Preservation and Open Space District, works to protect land in Sonoma County, California. She has worked for the District for over eight years, negotiating with landowners to preserve their property through the purchase of conservation easements. Sara also manages fee land transfers to recreational entities, urban open space projects, and other land conservation transactions. Sara is the District Project Manager for the Regional Conservation Partnership Program’s Sonoma County Venture Conservation project, which provides $8,049,000 in federal funding to plan for, protect and improve working and natural lands, resulting in improvements to water, soil, and habitat quality. A broad partnership of Sonoma County organizations and agencies will match the grant with $12,774,555. Previously, Sara worked as an urban and regional planner throughout the San Francisco Bay Area. Sara has a Master’s degree in geography from the University of Oregon and certification from the American Institute of Certified Planners. Abigail Ramsden is the Conservation Planning Project Director for the California Chapter of The Nature Conservancy. In this role, she manages lands held in fee, establishes strategic priorities, and supports conservation partnerships in the Central Coast of California. 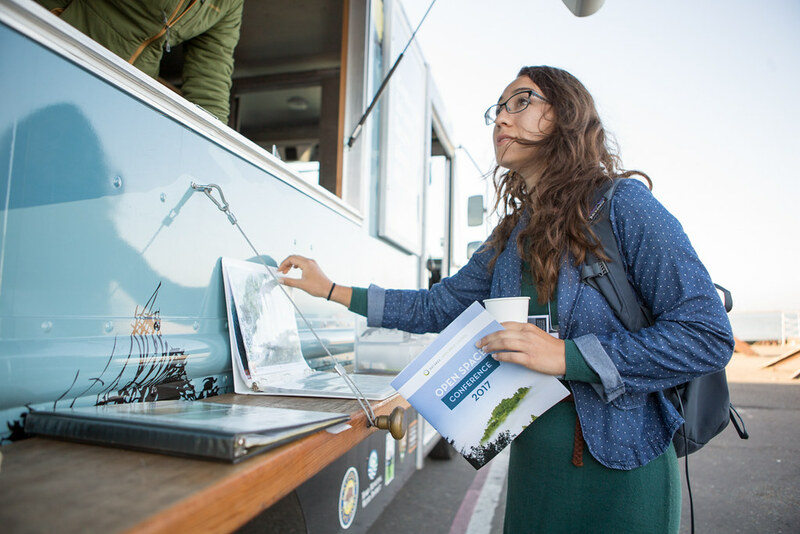 She led the team that engaged a group of over 50 stakeholders to create the Pajaro Compass, a voluntary network for conservation within the Pajaro River watershed. She raised over $200,000 to support the riparian restoration and educational outreach project on the Conservancy’s Gonzales Farm property. Currently, she works with a wide array of partners to bring data and principles from the world of natural resource conservation into land-use decision-making processes that affect public and private lands. She joined the California Chapter in 2012 after practicing land use and conservation law in San Francisco for seven years. She holds a B.A. in English from Williams College and a J.D. from U.C. Hastings College of the Law. 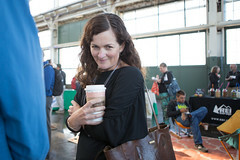 Monica Stafford is the Community Ambassador Program Director for One Tam, the partnership Mt. Tam’s public land owners and the Parks Conservancy. In a nutshell, this entails working with a team of volunteer One Tam Ambassadors to raise awareness, support and love for the iconic Mt. Tam and One Tam. Monica has been involved in Bay Area park management for about 20 years, leading habitat restoration projects, managing native plant nurseries, and developing partnerships and stewardship programs that engage the public in the care for our remarkable open spaces. Monica has a Master’s degree of science in Range Management from UC Berkeley’s Department of Environmental Science, Policy and Management, and a Bachelor’s degree in English Literature from the University of Chicago. Kevin Wright, Government and External Affairs Coordinator, manages partnerships, park funding, legislation, and strategic community initiatives for Marin County Parks and the Marin County Open Space District. He spent 12 years as a forester, transportation and natural resource planner, and meeting facilitator before moving to the Bay Area. 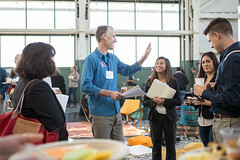 Mr. Wright is a member of the Tamalpais Lands Collaborative Working Group and coordinates partnerships with a variety of local governments and community-based organizations to strengthen efforts promoting parks and public health, park funding, equity and inclusion, and community outreach and engagement. Deb Callahan has served as the Executive Director of the Bay Area Open Space Council since 2015. She brings a wealth of experience in legislative advocacy and public policy; nonprofit and environmental leadership; organization building; fundraising; and work in philanthropy. She has led effective strategic initiatives on issues including land management and conservation, ocean and forest protection, climate change, pollution and science. 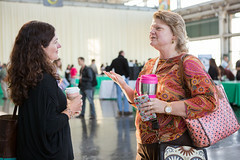 Deb has worked at the League of Conservation Voters, Point Reyes National Seashore Association, Heinz Center for Science, Economics and the Environment, and Americans for the Environment. Deb is a native Californian who studied Natural Resources Management at Cal Poly San Luis Obispo, and received a B.A. in Environmental Studies at University of California, Santa Barbara. In 1997, she was awarded the UCSB Environmental Studies Department Outstanding Alumni award. Liz Deering serves as the Communications Director at Conservation Minnesota. Liz joined the organization in 2006 after graduating from the University of Minnesota with a degree in Environment and Natural Resources. Today, she manages the organization’s integrated membership, advocacy, and fundraising communications using a truly data driven approach. Through advanced voter modeling and an individualized communications design, Liz and her colleagues grew the organization from 5,000 to over 65,000 members, in just 4 years. Fairbank, Maslin, Maullin, Metz & Associates Partner David Metz has provided opinion research and strategic guidance to hundreds of non-profit organizations, government agencies, businesses, and political campaigns in all 50 states since joining the firm in 1998. His research has helped to win some of the nation’s most expensive ballot measure campaigns. These include all the largest conservation finance measures in national history, including five successful statewide bond measures providing $15 billion to protect land and water in California. In partnership with The Nature Conservancy and the Trust for Public Land, he has helped to pass nearly one hundred local park funding ballot measures all over the country. In 2010 Dave’s research helped guide the campaign against California’s Proposition 23 to an overwhelming victory with 62 percent of the vote, successfully defending the nation’s strongest state law to reduce greenhouse gas emissions. Dave has provided opinion research on key message and policy issues to numerous environmental and conservation organizations, among them The Nature Conservancy, the Trust for Public Land, the Natural Resources Defense Council, the League of Conservation Voters, the Environmental Defense Fund, Greenpeace, Earthjustice, the Wilderness Society, the Sierra Club, and the National Audubon Society. He received his Bachelor’s degree in Government from Harvard University and his Master’s in Public Policy from the Goldman School of Public Policy at the University of California-Berkeley. Robin A. Pressman Consulting focuses on connecting “Analysis + Action”. Pressman works with a broad range of progressive organizations to enable highly focused and accountable data driven advocacy. Clients include the Wind Energy Foundation and Conservation Minnesota. Prior to opening Pressman Consulting, she served as Senior Associate at the polling firm Greenberg Quinlan Rosner Research, (GQRR). At GQRR Pressman provided message development, targeting and polling expertise to campaigns and non-profit clients such as the League of Conservation Voters and Oceana. Pressman has wide-ranging experiences with organizations and issue advocacy. She served as field director for the National Environmental Trust (NET). During her tenure at NET, Pressman designed and managed grassroots and field operations for numerous successful environmental campaigns. Pressman has worked on and managed electoral campaigns in New Jersey, Maryland, and Oregon. After more than 25 years in Washington, DC, she recently relocated with her husband and son to Alameda, California. Robert Doyle is General Manager of the East Bay Regional Park District, the largest local park district in the United States, serving a diverse population of users in an urban interface setting, with 15 million visitors per year to its 66 parks and 1,250 miles of trails on over 119,000 acres of open space. Mr. Doyle is leader in the urban parks and recreation field, with 40+ years of service. This year he is celebrating his 40th anniversary with the East Bay Parks, where he started as a park ranger at a variety of parks, advanced into planning and design, promoted to chief and later served as assistant general manager of the land division for 21 years. Mr. Doyle attended Diablo Valley College, San Francisco State University, and graduated from Saint Mary’s College in Moraga with a B.A. in Management. Patrick Kallerman is a Research Manager at the Bay Area Council Economic Institute, where he is responsible for conducting primary analyses, developing research designs, and managing projects. His areas of interest include labor economics, health care, and the environment. Past projects include an examination of high-tech employment and wages in the United States, estimating the economic impact of the Affordable Care Act in California, and an objective look at the size of the 1099 economy. Patrick’s work has appeared in outlets such as Bloomberg, Fast Company, and The Wall Street Journal. Previously Patrick was Policy Director at Health Systems Project and before that a Consultant with Accenture. Patrick takes every possible opportunity to explore California’s natural wonders — usually with fly rod in hand — and proudly supports a variety of conservation causes. He holds a Bachelor of Arts in economics from California State University Long Beach. Andrea Mackenzie is General Manager of the Open Space Authority in the Santa Clara Valley which is working to protect and steward the region’s natural capital – our open spaces, water resources, natural areas, and working lands to support healthy land, communities and economies. For more than 25 years, Ms. Mackenzie has worked in the fields of land use planning, conservation planning, policy and finance, and open space protection for county, regional, state, and national agencies. She has successfully passed open space funding measures in Sonoma and Santa Clara Counties generating over $600 million for land conservation. She is a past fellow of the National Conservation Leadership Institute and serves on the Advisory Council of the Bay Area Open Space Council, SPUR San Jose Policy Board, and Executive Strategic Council for Valley Transportation Authority. In 2016, Andrea was named Bay Nature Magazine’s Local Conservation Hero in the San Francisco Bay Region. Ms. Mackenzie earned her Bachelor’s degree in Environmental Studies from U.C. Santa Barbara and a Master’s degree in Urban Planning and Natural Resources from U.C.L.A. Assemblymember Eduardo Garcia represents California’s 56th Assembly District. Elected in 2014, he is the current chair of the Committee on Water, Parks, and Wildlife. He was also named Chair of the Joint Committee on Climate Change Policies and on February 17, 2017 appointed to serve on the California Air Resources Board as an ex-officio member. He is the author of AB 18, the current Park Bond bill. In 2016, Assemblymember Eduardo Garcia had SB 32 and AB 197 signed by Governor Brown, the historic climate change package that established a landmark state emissions reduction mandate, boosted oversight and transparency of the California Air Resources Board while constructing the framework to ensure future climate policies prioritize investments into disadvantaged communities that are most affected by pollution. Assemblymember Garcia attended the University of California, Riverside. He also completed the “Senior Executives in State and Local Government” Public Administration program from the John F. Kennedy School of Government at Harvard University and earned a Master’s degree from the University of Southern California School of Policy, Planning and Development. Matt Gerhart is Program Manager for the San Francisco Bay Area Conservancy program of the Coastal Conservancy, where he helps to protect and enhance regional natural resources, improve public access to our open spaces and shorelines, reinvigorate our waterfronts, enhance resiliency to climate change, and protect bay area working lands. A geographer by training, Mr. Gerhart has over 15 years of experience in land conservation planning, coastal management, public access development, climate change policy, and science. 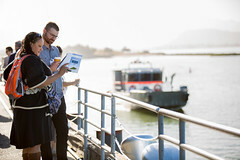 He is an agency lead for Bay Area climate change and sea level rise efforts, including the Baylands Ecosystem Habitat Goals Update, San Francisco Bay Restoration Authority, and the Bay Area Ecosystems Climate Change Consortium. 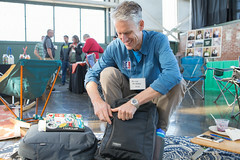 In this capacity, and previously as the program’s Deputy Manager, he has served as an advisor for the Delta Conservancy, Bay Area Open Space Council, San Francisco Bay Joint Venture, California Landscape Conservation Cooperative, Bay Area Regional Collaborative, and San Francisco Bay Area Integrated Regional Water Management Plan. Previously at the Conservancy, Mr. Gerhart was a project manager for the Conservancy in Mendocino and Sonoma Counties, where he worked on a wide variety of coastal access, forest and parkland conservation efforts. From 2004 to 2007, he served as the Big River Program Manager at the Mendocino Land Trust, and previous to that as a private conservation planning consultant. He holds a Master’s in Geography from the University of California at Berkeley and a B.A. from Yale University. 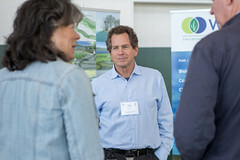 Robin Grossinger is the Program Director and Senior Scientist at the San Francisco Estuary Institute, where he co-directs SFEI’s Resilient Landscapes program. For over twenty years, he has analyzed how California landscapes have changed since European contact, using these data to guide landscape-scale restoration strategies. Robin leads efforts throughout the state to reintegrate natural processes within our highly modified landscapes, creating healthier and more adaptive neighborhoods, cities, and surrounding landscapes. He has advised restoration strategies for San Francisco Bay, the Sacramento-San Joaquin Delta, urban landscapes such as the Google campus, and rivers throughout California. Robin’s innovative work to synthesize history and science has been acclaimed for helping scientists, managers, and the public appreciate both the dramatic transformation and the impressive resilience of the state’s ecosystems. Recently he has helped develop, with an international team of ecologists, the Landscape Resilience Framework, a systematic approach to recovering ecosystem resilience at the landscape scale. Robin holds a B.A. in Biology and M.S. in Marine Sciences from University of California, Santa Cruz. Nicole Heller joined Peninsula Open Space Trust as the Director of Conservation Science in 2015. Trained as a field ecologist, she been conducting research and working in the Bay Area since 1999. Her work has been focused on applying climate science and ecological theory and empirical findings to the sound management of California ecosystems. She has led various efforts to forward an ecological resilience agenda across the urban ecosystem through collaborations with colleagues at POST, the Terrestrial Biodiversity and Climate Change Collaborative (TBC3.org), Resilient Silicon Valley, Santa Cruz Mountains Stewardship Network, and the Amah Mutsun Land Trust. She has authored or co-authored ~ 30 articles and book chapters in ecology, conservation and climate change. Nicole holds a B.A. in Ecology and Evolution from Princeton University, a Ph.D. in Biological Sciences from Stanford University. She conducted postdoctoral research at University of California Santa Cruz, and has held teaching positions at both Franklin and Marshall College and Duke University. Tom Robinson is the Director of Conservation, Science and Innovation. His goals are to help communities view their immediate landscape as the source of their well-being, economic prosperity, and security, and to strengthen the link between local conservation priorities and investments and regional, state and federal priorities and incentive programs. As a landscape ecologist and conservation practitioner in the San Francisco Bay Area for the past 16 years, Tom brings together scientists, state and local government staff, and NGO partners to integrate environmental data, fill critical gaps, and develop adaptive spatial decision support systems to steer conservation policies and actions toward impactful outcomes. Tom has had the privilege of working for the Midpeninsula Regional Open Space District and most recently as a conservation planner for the Sonoma County Agricultural Preservation and Open Space District. Tom holds a bachelor’s degree in ecology from U.C. San Diego, is a Master’s Candidate in geographic information science at San Francisco State University, and is a Switzer Environmental Leadership Fellow. John Gioia was elected to the Contra Costa County Board of Supervisors in 1998 after serving for 10 years as an elected member of the East Bay Municipal Utility District Board of Directors. 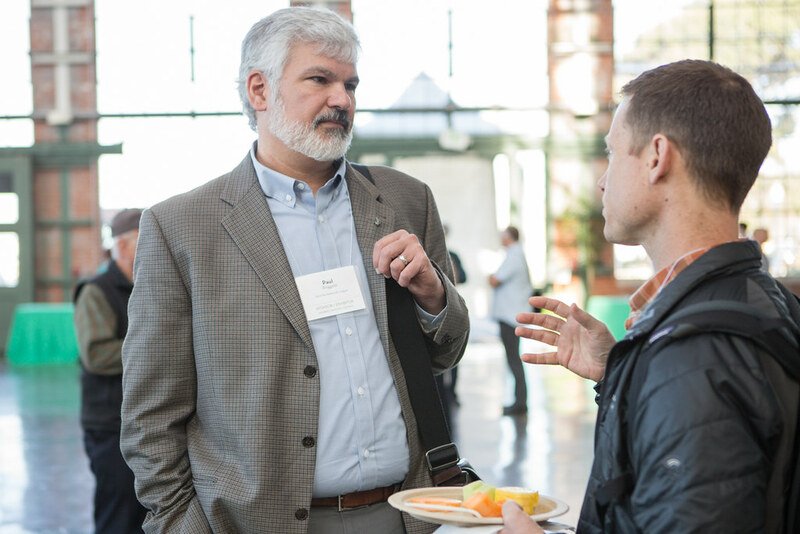 He is a recognized leader in Bay Area regional government and on air quality issues. He was appointed by Governor Brown in 2013 to serve on the California Air Resources Board and has been on the Bay Area Air Quality Management District Board since 2006 (serving as Chair in 2012). John is a Past President of the California State Association of Counties. He serves on both the Bay Area Regional Collaborative Governing Board and the San Francisco Bay Conservation and Development Commission, and is Vice-Chair of the San Francisco Bay Restoration Authority. He has successfully built coalitions to address issues such as affordable housing, environmental justice, access to public transportation and quality health care, air and water quality, and San Francisco Bay restoration. John earned a B.A. in Political Science and a Juris Doctor from the University of California, Berkeley. He practiced law until his election to the Board of Supervisors. The Bay Area Open Space Council is excited to have offered the Leadership Development Program for the second year at the 2017 Open Space Conference. We recognize that we need to nurture the next generation of leaders who will work to protect, defend, and steward the parks, open spaces, and farmlands of the Bay Area. In order to achieve this, we need to create opportunities for future leaders to meet, learn from, and connect with current leaders. 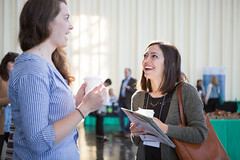 To facilitate this, we encouraged young adults between the ages of 18-25 to attend the conference and connect with Advisors whom work in the field. Co-hosted by the East Bay Regional Park District and National Park Service, the field trip will take place on Wednesday, May 17, 2017 from 1 pm-4 pm. A shuttle will pick up attendees from the North Concord BART station and leave for the site at 1 pm, so please be on time to board. There is space for 24 passengers so REGISTER NOW while seats are still available. The Concord Naval Weapons Stations was established in 1942 on over 13,000 acres and provided munitions storage and shipping through Port Chicago during World War II and throughout the latter half of the 20th century. In 2005, over 5,000 acres of the base located in the grasslands and oak woodlands between Concord and Pittsburg were officially closed and reuse plans began to be developed. The National Park Service and the East Bay Regional Park District has partnered to develop a Land Use Plan for over 2,500 acres of the closed base that will become a new Regional Park and will include a visitors center highlighting the history of the Port Chicago Naval Magazine National Memorial. 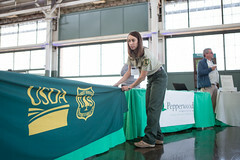 Volunteers help run the conference. They support our staff by setting up the day before, checking-in attendees, passing out lunches, keeping to the schedule, and cleaning up. 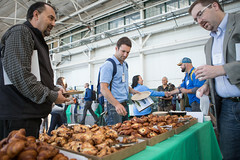 In exchange for one shift, volunteers may attend the conference when not on assignment. *UPDATE – We’ve re-opened this volunteer application to get a few more helping hands on deck. Sign up using the form below and we will contact you on how you can help. We work hard to make our conference inclusive and accessible, offering a limited number of scholarships each year. If costs prohibit you from attending or if you have any accessibility needs, please complete the application below by April 13. We will get back to you ASAP. BART – We will provide shuttles to/from the Richmond BART station courtesy of the National Park Service and the Golden Gate National Parks Conservancy. The morning shuttle will pick up from BART starting at 7:35am-10:05am and the end-of-day shuttle will depart the Craneway at 4:00pm-6:15pm. Both with have signs in their windows identifying who they are. Morning Schedule – NPS shuttle BART pick up times start at 7:35am and continue on the :05 and :35 of the hour, with the last bus picking up at 10:05am. The shuttle will stagger their pick up times at BART with the AC Transit #74 bus so a vehicle is leaving for the Craneway every 15 minutes. The AC Transit #74 starts off with a 7:49am departure and then departs on the :22 and :55 of the hour. There is a BART train that arrives on the :31 and :01 of the hour. The driver will wait a couple of minutes if the BART is delayed slightly and she sees attendees coming out of the station a little later. Late Afternoon Schedule – GGNPC shuttle Craneway pick up times start at 4:00pm, with the last bus departing the Craneway for BART at 6:15pm after the reception ends. Your generous support helps make this event possible. Check out our sponsorship flyer with levels and recognition benefits. You can also sign up to be a sponsor online today to save your spot and pay later.